Yingluck Shinawatra is poised to become Thailand's first female prime minister after her party, Pheu Thai, won the majority of seats in the country's general election July 3. Although a political novice herself, Yingluck, 44, comes from a family steeped in politics. The year after she was born, her father, Lert Shinawatra, became a member of parliament representing the northern city of Chiang Mai. Before he quit politics in 1976, he had also been deputy leader of his party. One sister held office as Chiang Mai mayor; other siblings served as members of parliament. However, it's her brother Thaksin's political career that matters most. He was Thailand's prime minister from 2001 to 2006, when the military deposed him in a coup, declared martial law and suspended the constitution. Yingluck Shinawatra was born June 21, 1967, into one of the wealthiest and most powerful families in Chiang Mai. She is the youngest of nine children born to Lert Shinawatra and Yindi Ramingwong, the daughter of a princess. While Thaksin, who is 18 years older than Yingluck, was in office, the family fortune — and its influence — grew considerably. Much of the family's money came from its telecommunications businesses, which included Advanced Info Service, the largest mobile phone company in Thailand. 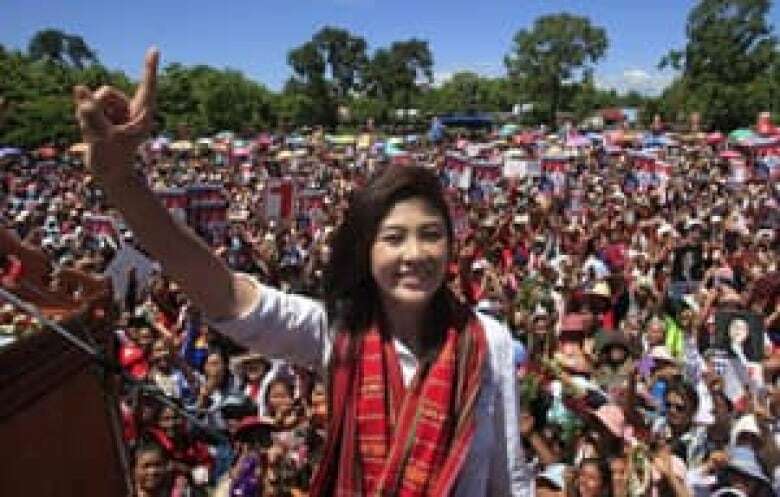 Yingluck earned an undergraduate degree in political science at Chiang Mai University and a master of arts degree in public administration from Kentucky State University in 1991. After graduating, she went to work at one of the family firms, Shinawatra Directory, Thailand's yellow pages, selling advertisements. Thailand's former prime minister Thaksin Shinawatra greets journalists outside his home in exile in Dubai on July 4, the day after his sister Yingluck's landslide election win. Thaksin, a billionaire twice elected prime minister, was ousted in a 2006 coup. ((Jumanah El-Heloueh/Reuters))Yingluck was taking on increasing responsibility in the family business while her brother Thaksin was taking on increasing responsibility in the political arena after his election to parliament in 1994. In 2001, he was elected prime minister. 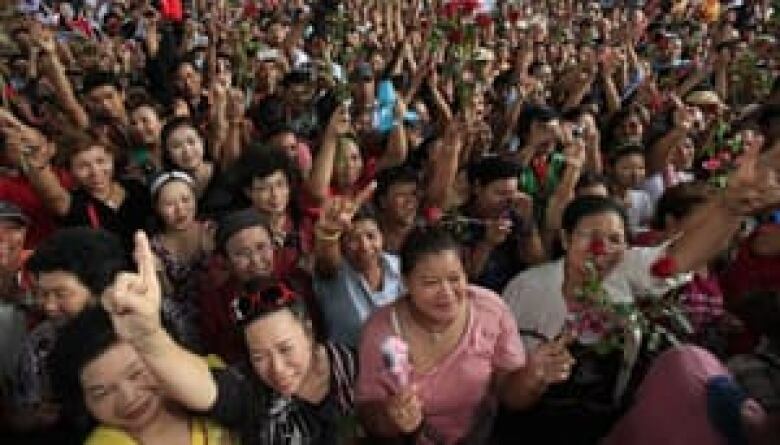 His government proved popular, especially in Thailand's north, bringing in health insurance and programs like microcredit, aimed at helping Thailand's usually neglected rural poor. In 2005, Thailand's billionaire prime minister was re-elected in a landslide. However, "Thaksin's rule had seriously eroded respect for human rights in Thailand," Human Rights Watch said in a statement denouncing the military coup that overthrew him in 2006. Among the violations Thaksin's government is accused of committing are hundreds of extrajudicial killings that resulted from the "war on drugs" Thaksin launched in 2003. His security forces are also accused of committing widespread human rights violations while fighting a mostly Muslim insurgency in the south of the country. With her brother running the country, Yingluck was helping run Advanced Info Service. She was managing director until the mobile phone company's controversial sale to a Singapore firm in 2006. Yingluck then moved over to SC Asset Corp, the family's real estate company, one of the biggest in Thailand, as executive president. In 1995, she married businessman Anusorn Amornchat, who is now in charge of M-Link Asia Corporation, which sells mobile phones and accessories. Another Shinawatra, sister Yaowapa Wongsawat, is the major shareholder in M-Link (and a former politician). Her husband, Somchai Wongsawat, was prime minister in 2008. The day after Yingluck's election victory, shares in M-Link were up 25 per cent. Yingluck says it is from her brother Thaksin that she gets her business acumen. "I have learned from him in business, and I understand his vision, how he solves problems and the way he built everything from the beginning," she told Agence France Presse news agency. By 2009, Yingluck was already being touted as her brother Thaksin's political heir. Yingluck Shinawatra poses during the election campaign in Ubonratchathani province, northeast of Bangkok, June 15. ((Sakchai Lalit/Associated Press))She waited until May this year to make the leap into politics, aiming for the prime minister's office. "I am ready to fight according to the rules, and I ask for the opportunity to prove myself," Yingluck told Pheu Thai party members. "I ask for your trust as you used to trust my brother." 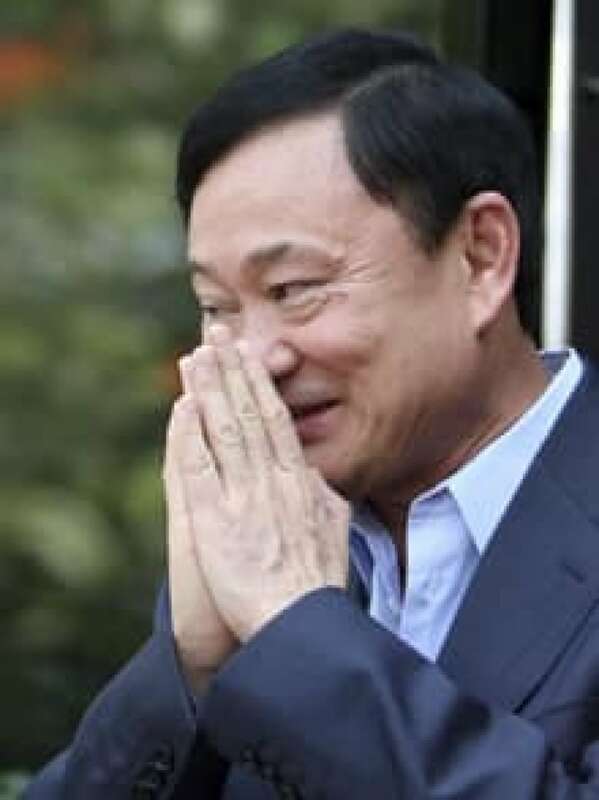 Pheu Thai is the third and latest incarnation of what Thais call the pro-Thaksin party, which has received the most seats in every general election since 2001. During the electoral race, the Bangkok Post marvelled at "a brilliant marketing campaign" that played to Yingluck's vote-getting strengths as a woman and a fresh face in politics with a history of success in business. "I've seen too many men failing to run the country," one Bangkok businesswoman told Reuters during the election campaign. "Maybe this time, things will be different." Yingluck had a legion of election advisers and proved excellent at following their advice to stay on message and avoid policy debates. She improved as a campaigner as the weeks went by. Already the front-runner, her party increased its strength in the polls as her popularity grew. She was also effective at avoiding the minefields along the electoral road. One was the issue of amnesty for her brother, whom the Thai supreme court last year convicted of profiteering from his time in office, seizing about $1.5 billion of his property. Supporters cheer Yingluck Shinawatra during her party's election campaign rally in Bangkok, Thailand, June 27. ((Sakchai Lalit/Associated Press))Yingluck told interviewers that as prime minister, she would put the public interest first and not tailor make rules to benefit any one person. "We have to move the country forward, to unite Thailand; amnesty will be after that," she said. "If we do apply an amnesty, Dr. Thaksin will get the same treatment as any other [person]." Her opponent, Abhisit Vejjajiva, countered that the plan was just "a way of cloaking the fact that she will try to enact a more blanket amnesty so Thaksin can get his." Yingluck was also attacked during the campaign for her role in the controversial 2006 sale of Advanced Info Service, as part of Shin Corp. The Shinawatra family's sale of the company had already caused Thaksin political problems, as it occurred while he was prime minister and was structured in a way to make it tax-free, the Bangkok newspaper The Nation reported. Yingluck Shinawatra walks with husband Anusorn Amornchat and son Supasek Amornchat during her 44th birthday at their residence in Bangkok June 21. ((Sukree Sukplang/Reuters))Once the election campaign was underway, some of Thaksin's opponents pressed for Yingluck to be charged with perjury in relation to testimony she gave before a government committee looking into the sale in 2007. Yingluck said she could clear up the accusation against her. "I will exercise patience and will provide all facts to the general public," she said. During the campaign, Yingluck replied in English when questions were posed to her in English at press conferences and interviews but her mastery of the language could not match that of her eloquent, British-born, Oxford-educated opponent, Abhisit. Yingluck has a nine-year-old son, Suppasek, nicknamed Pipe. Her family nickname is Pou, which means crab.